Now that we're bidding September adieu, my guess is that people are starting to crave warmer, comfort-style foods. I'm right there with you, but I'm not completely ready to stop making salads (although I'll definitely be making more fall-inspired salads, like this one). 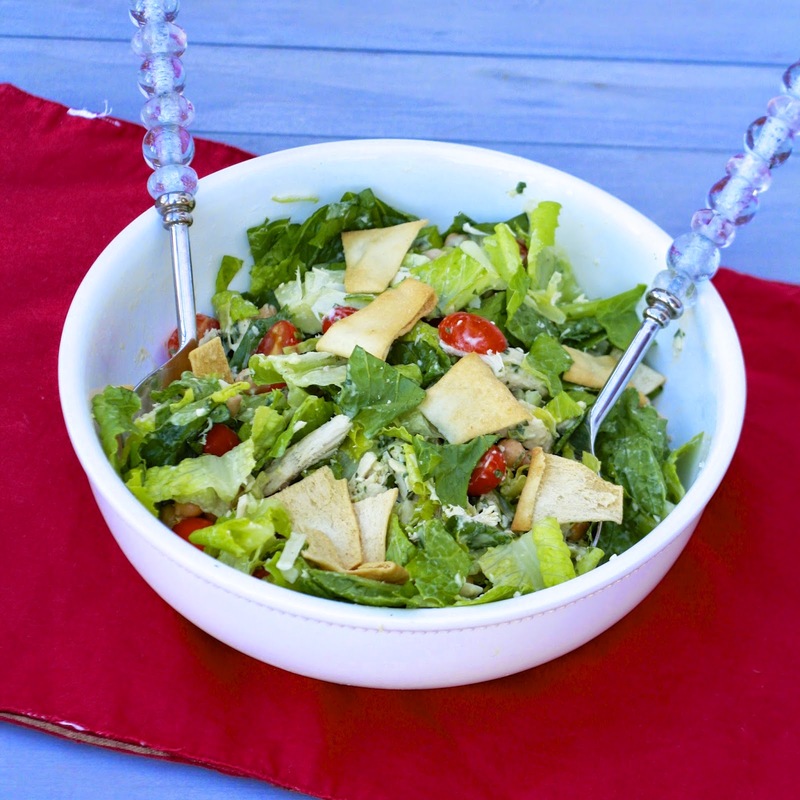 Before you completely swear off salads in favor of soups and stews, give this one a try! 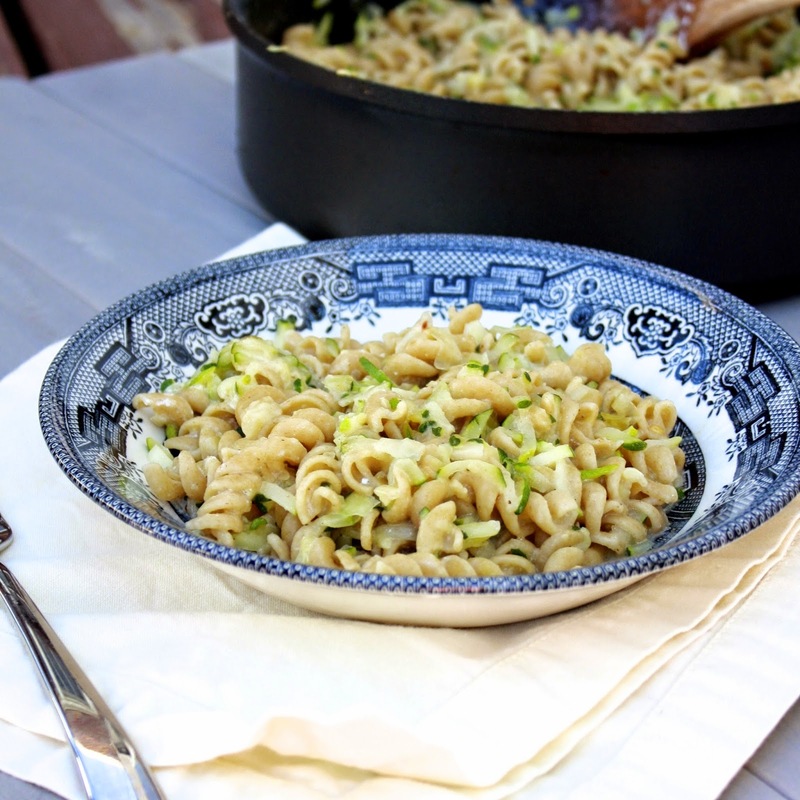 It comes together in about 20 minutes, perfect for a weeknight. 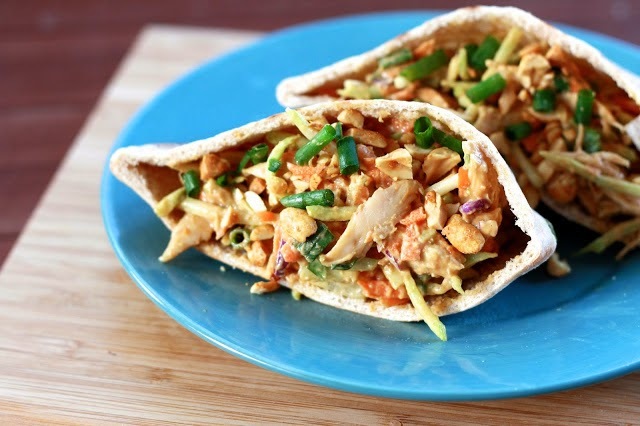 Keep it vegetarian by omitting the chicken or skip the pita chips and stick it in a pita pocket instead. Our favorite part was definitely the avocado dressing and we used the leftover dressing on side salads the next few nights. It kept well for 3 or 4 days! 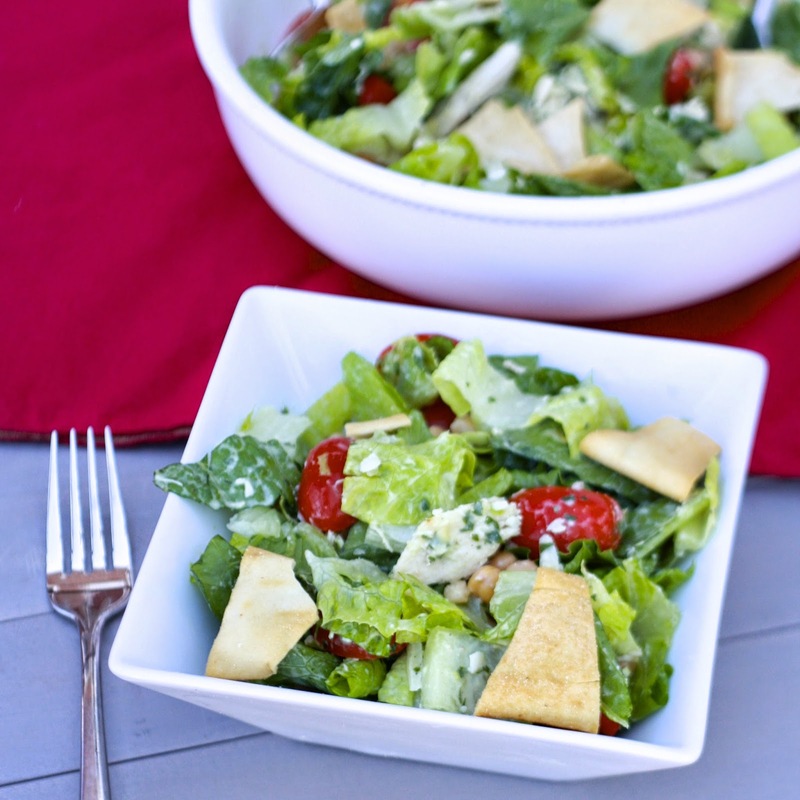 Looking for another chopped salad with an equally awesome avocado dressing? 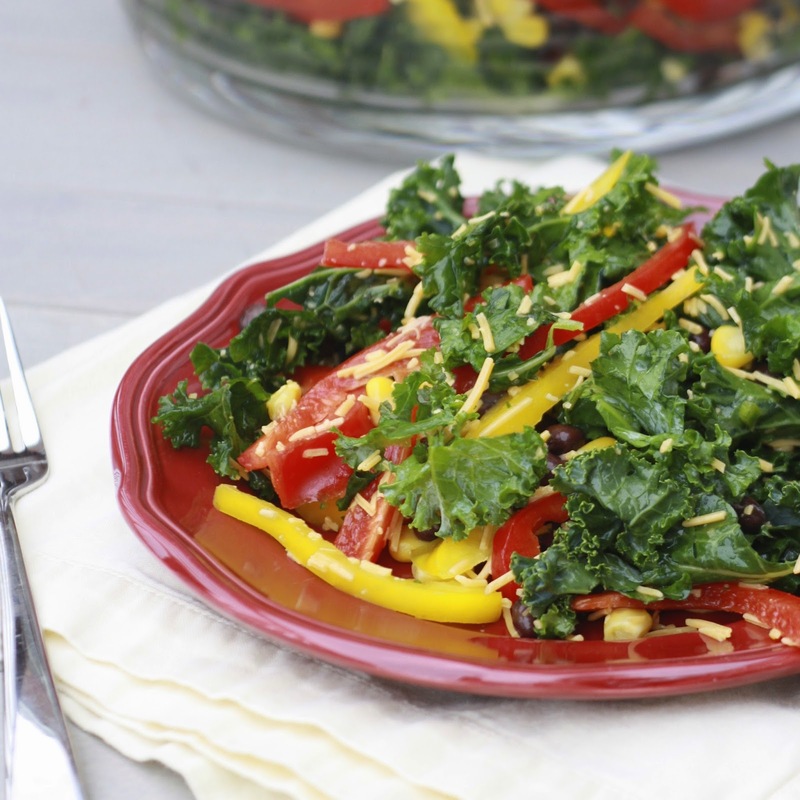 Try my Southwestern Salad with Creamy Avocado Dressing! 1. Grace and Potatoes. I'm friends with Annie and by friends I mean Facebook friends and friends by association because she's good friends with friends of mine. In other words, I admire her from afar and her aforementioned blog post is a poignant reminder of what grace is! 2. Something else that recently resonated with me? Thoughts on a Striped Baby Gap shirt. I mourn every time I have to pack away baby clothes that no longer fit and I'm always shocked when she fits in something that recently seemed like it would never fit her. I know kids have to grow up and there's so much fun and excitement in it, but boy do I cherish these days! 4. Fellow blogger Kelli recently made my Thai Chicken Salad Pitas and my Salsa Verde Quinoa Bake and said she and her husband loved both! I already have salsa verde in my cabinet just asking to be used in that bake again, but I had totally forgotten about those pita sandwiches and they're officially on my to-make ASAP list! Three Years Ago: Eggplant and Mushroom Veggie Balls aka "Meatless Meatballs"
In the spirit of full disclosure, these weren’t my favorite dessert bars. WAIT—before you click out of the site, hear me out. They may not have been my favorite, but only because my expectations were in the wrong place. 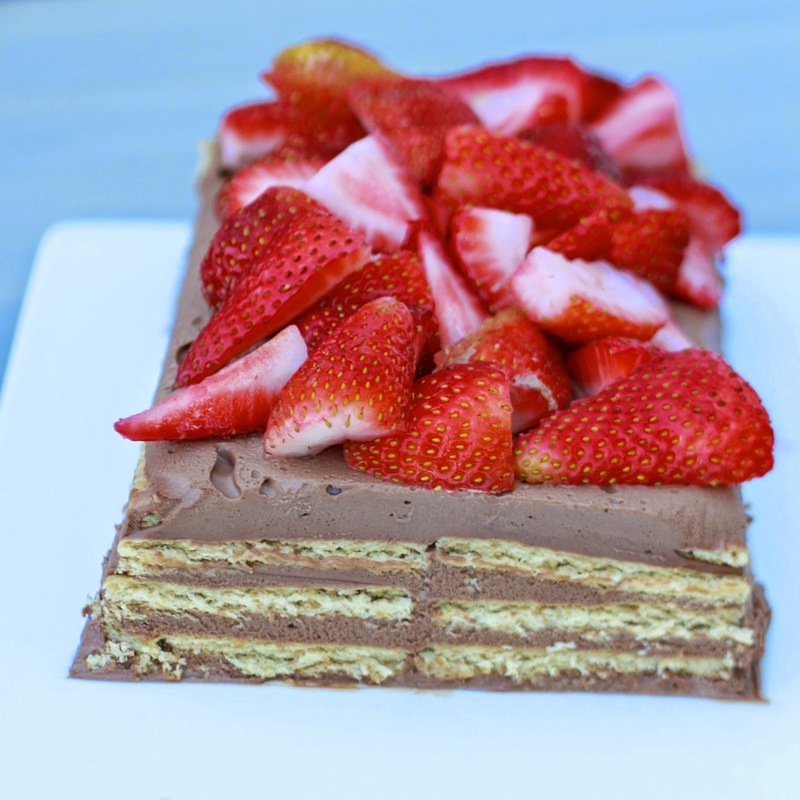 In my mind, dessert is always caloric and indulgent, full of (for better or worse) butter and sugar. These definitely err on the side of ‘healthy desserts’ in that they make use of whole wheat flour and slightly less butter than what you’ll usually find in a pan of blondies. 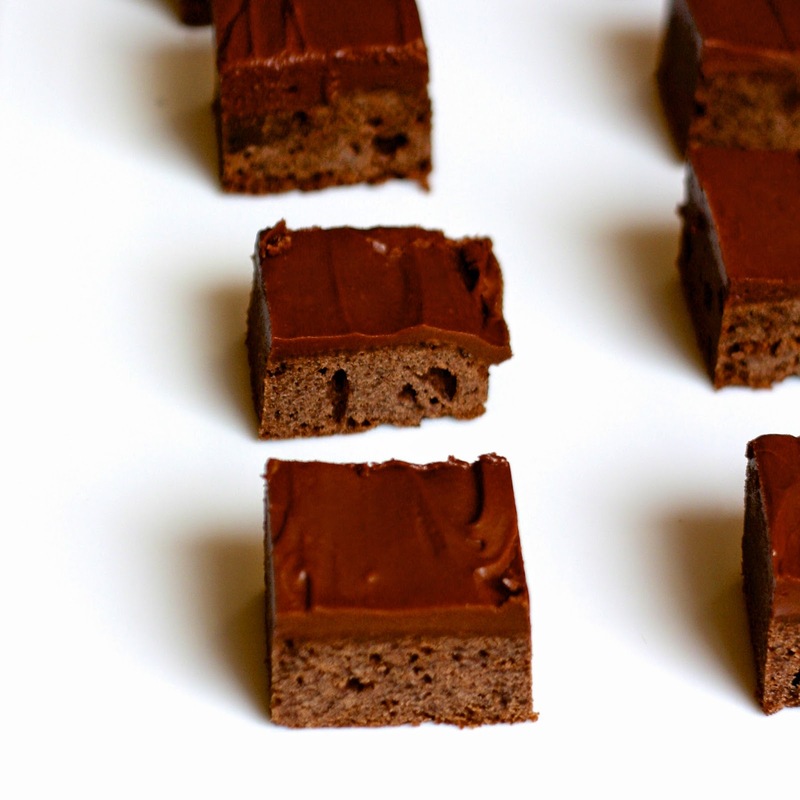 If you’re expecting dense, gooey dessert bars, make these instead. However, if you want something a little heartier with a firmer texture, you’ll like these. They’re actually great dipped in milk or crumbled atop ice cream, but they’d also be a great healthy-ish dessert to throw into your kid’s lunchbox. It’s like going to the movies expecting to see a comedy and finding out it’s a drama instead. It’s not bad, it’s just different than what you were going for so you were a little thrown off. In this case, I’m telling you ahead of time that you’re seeing the drama, not the comedy, so you know exactly what you’re getting and should be totally satisfied! Or, for a dramatic comedy, scrap the whole wheat flour in favor of white flour or toss in a few extra tablespoons of butter! My youngest sister Renatta and her friends are living off-campus for the first time this semester. While they technically had a kitchen and a minimal meal plan last fall, any cooking skills they'd acquired were quickly forgotten during their semester in Spain where they were basically waited on hand and foot by their host mom. 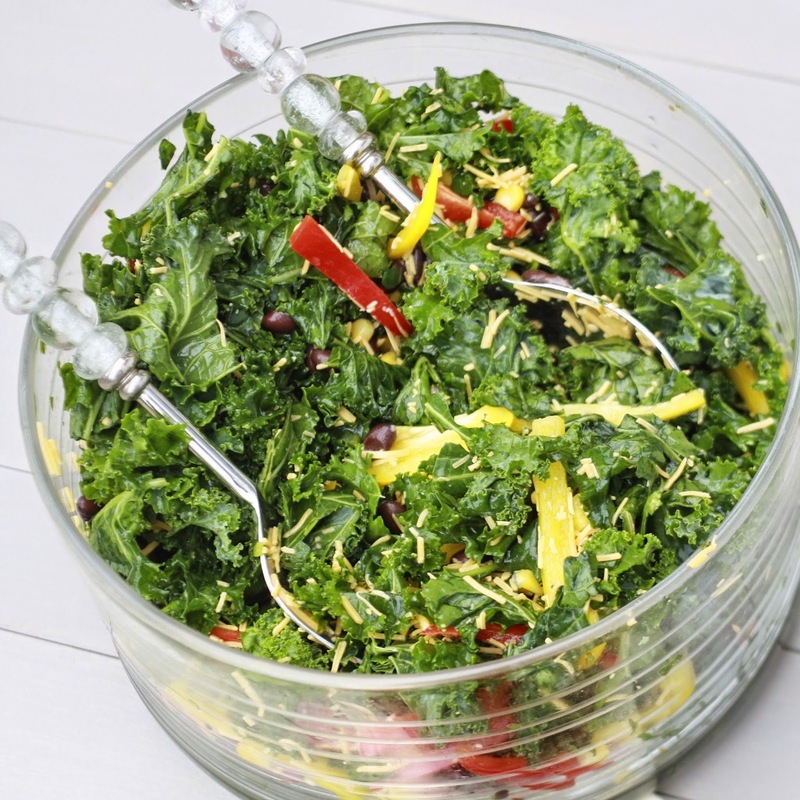 I made this Mexican Kale Salad to serve alongside the tacos, and it won us all over. 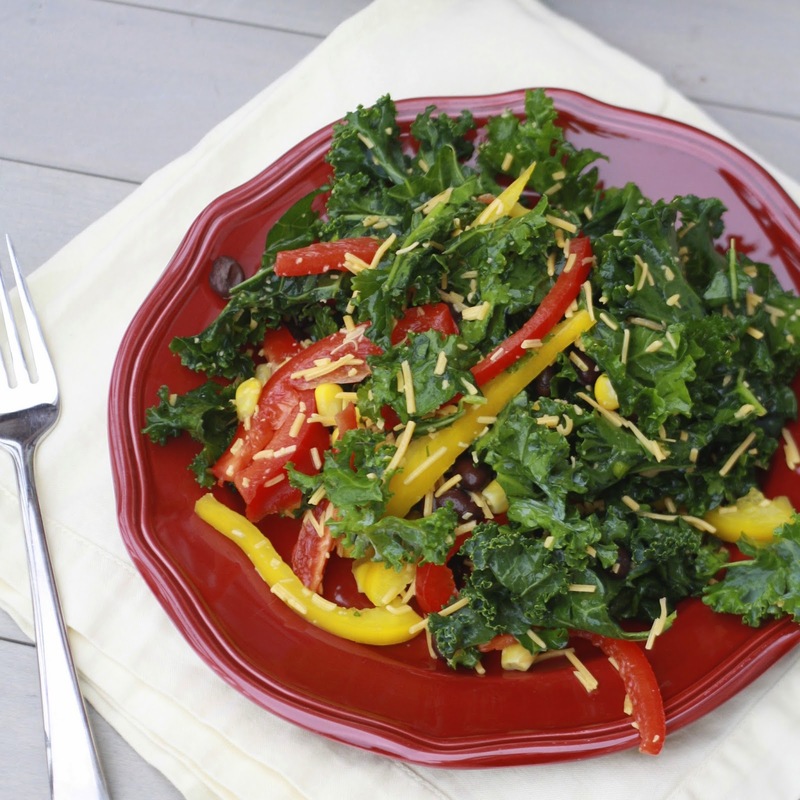 The jalapeño-lime dressing is just enough to soften the tough kale (you can even dress the kale up to a day ahead of time), and the black beans, corn, peppers, and cheese give it enough heft that it could pass as a main dish if you chose! By the end of the meal, the girls were asking me to recite the recipe and had determined this was simple enough for them to handle...although I'm sure they'd be just as happy to invite themselves over next time it's on the menu! We’ve had a lot of fun introducing Brecken to solid foods. Starting at six months, we started giving her bits of food…both mashed up pieces of things for her to gnaw on and also purees that she took from (her favorite part!) a spoon. Unsurprisingly, I’ve been making her food. From the day people heard I was pregnant, they’d be commenting on how the food blogger must be so excited to start making baby food for her (then future) baby. That actually wasn’t the case! We held off on solids in part because we didn’t see a nutritional need to begin before six months, but also because the thought of adding one more thing to my plate (pun intended) left me overwhelmed. Thankfully baby food is insanely easy and can be made and frozen in large batches, so the task hasn’t been nearly as daunting as I had originally worried. Sweet potatoes were one of the first purees I made, and a huge hit with Lady B. We have pictures of her covered in sweet potato and it’s not unheard of to find a bit of orange goop stuck in one of her neck or thigh rolls…even post-bath! 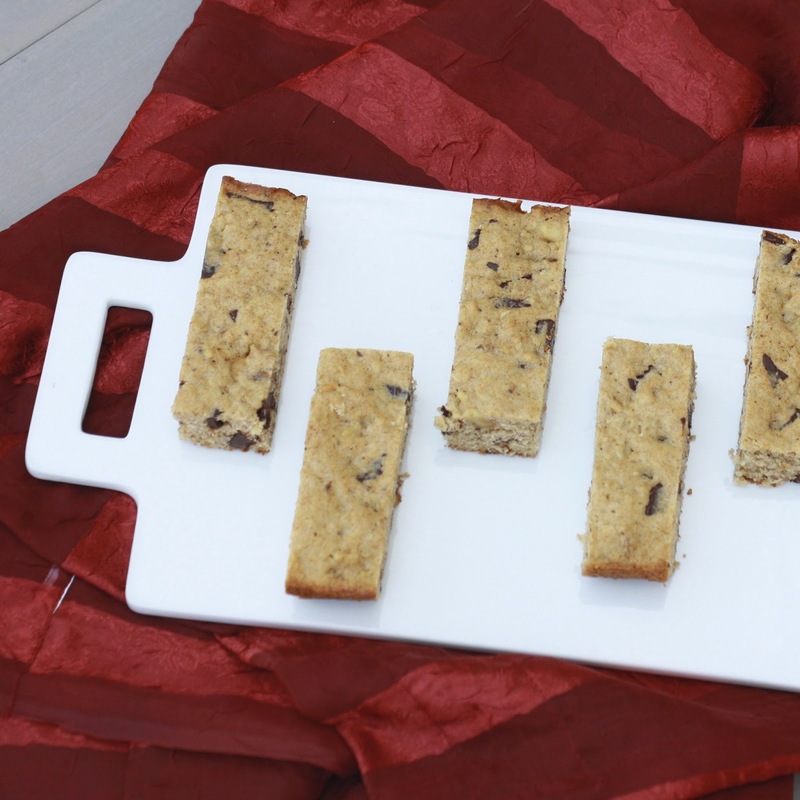 Turns out as great as sweet potato puree is for chunky babies, it’s also good for moms and dads—especially in the form of this quick bread! 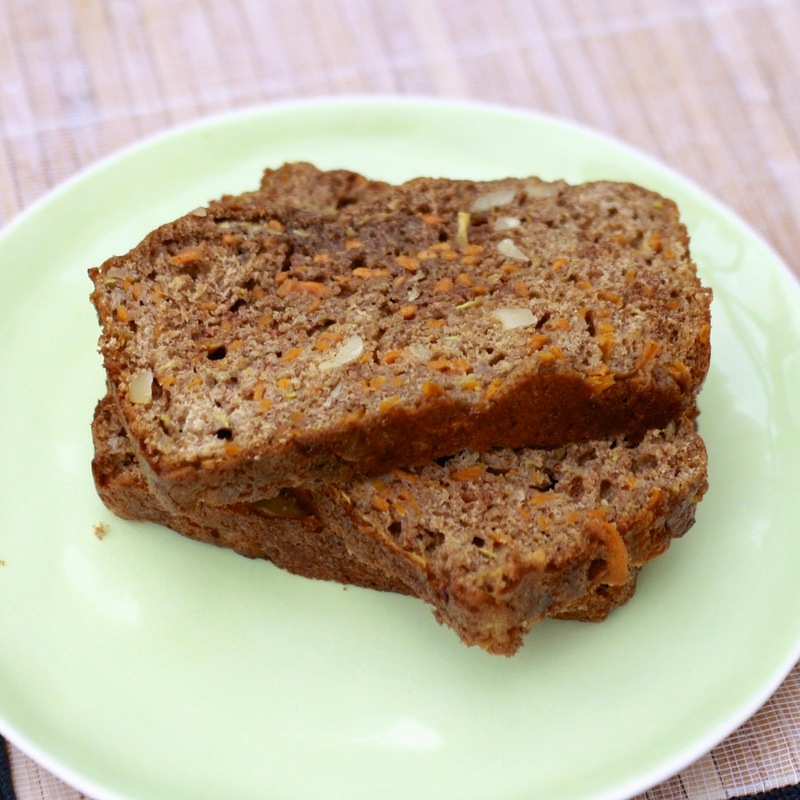 Shredded zucchini and sweet potato puree make for an incredibly moist (sorry) bread that’s reminiscent of pumpkin bread but without the pumpkin flavor (for you—crazy!! !—pumpkin haters). Even better, it’s relatively healthy on the spectrum of baked goods. 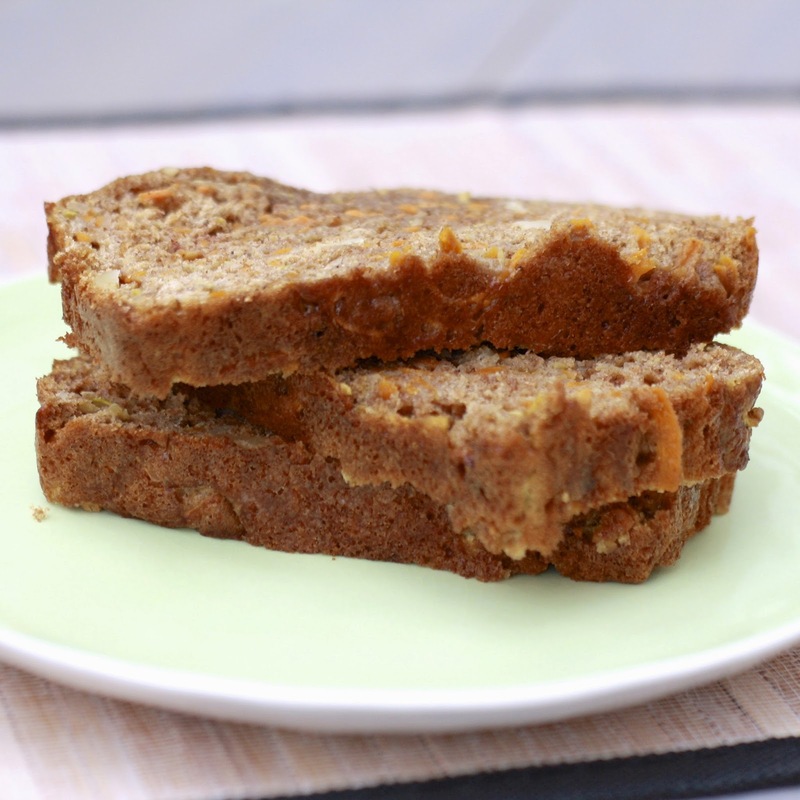 I loved all of the fall spices in this—nutmeg, allspice, cinnamon—normally I like to add chocolate chips to quick breads for a little extra pizzazz, but with all of the flavor from the spices and the crunch from the walnuts, this was perfect as is! Whether you’re baking sweet potatoes for baby food or your own food, make a few extra to puree and throw into this bread. 1. Why It Doesn't Matter How You Feel About Your Friends. Inspiration to go be a good friend! 2. 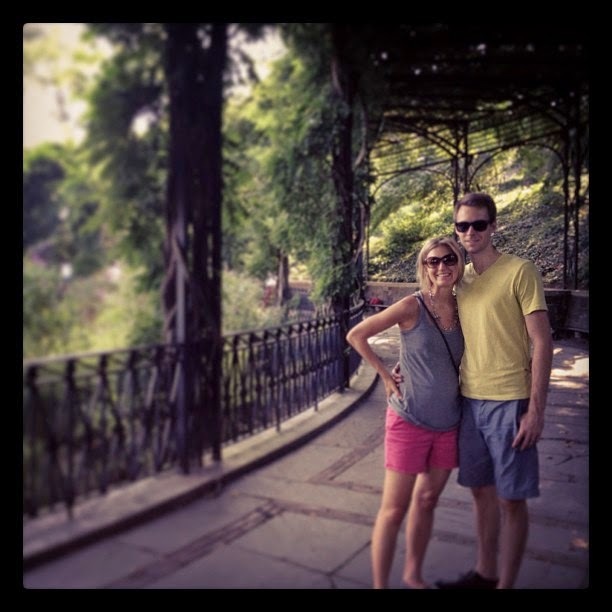 For the third year in a row, we're in NYC for the weekend visiting our dear friends Katie and Matt. It's technically Brecken's second time to NYC (although last time she was a wee 15 weeks in gestation, pictured above), but her very first plane ride. Follow me on Instagram to check out some of our adventures, and read about past trips to NYC here and here. 3. 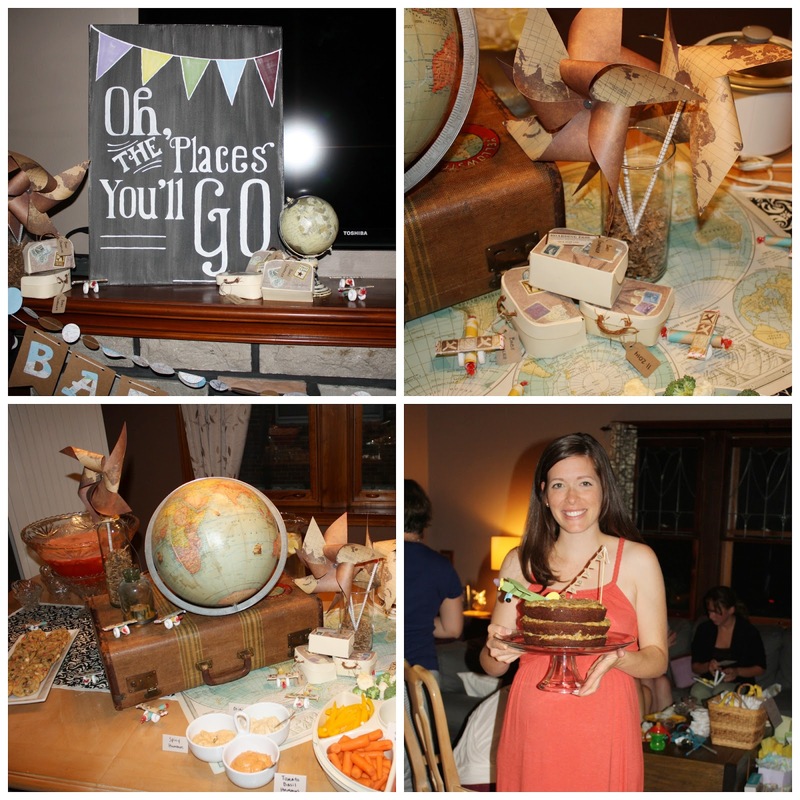 Speaking of Katie, this summer she's the one that's pregnant, and I had the privilege to throw her a travel-themed shower when she was in St. Louis last month. Much like the Pop, Fizz, Clink Kate Spade shower, I can't take much credit...my mom and sister made absolutely beautiful decorations & homemade mini-suitcases for favors (that I stuffed with cinnamon sugar pretzels) and Katie's sisters-in-law came up with creative (and non-cheesy) games! See #4, below, for my contribution...unsurprisingly, the food! All in all, it was a wonderful night celebrate Baby G whose arrival we are beyond excited for! 4. I'll be sharing the cake I made for Katie's shower in a future post, German Chocolate fans get excited! I also made the always-popular Tijuana Trash Mix and tried a new recipe for this Rustic Cheese Tomato Tart, which I will definitely be making again and again. When I menu plan for the week ahead, I always try to incorporate a fair amount of variety into dinner each night. Don’t get me wrong, I’m a huge proponent of leftovers and they appear on our table at least once or twice a week. However, on the nights I’m cooking, I try to mix up the cuisine / genre, protein source, and even the texture or temperature of a dish (unless it’s January and then I’m okay eating soup every night for a week!). Usually at least once a week I plan for a lighter entrée, typically in the form of a giant salad. 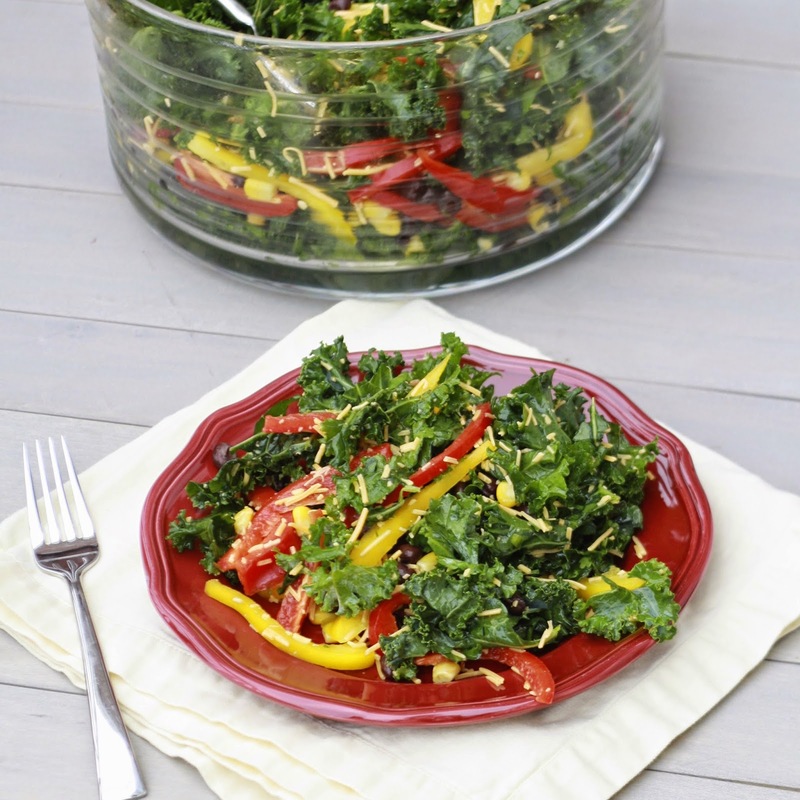 We have a few of our favorites that we return to again and again (like this grilled vegetable salad, this sweet potato, kale, apple salad, and this shredded vegetable detox salad), but I’m always on the lookout for new ones to add to the list. 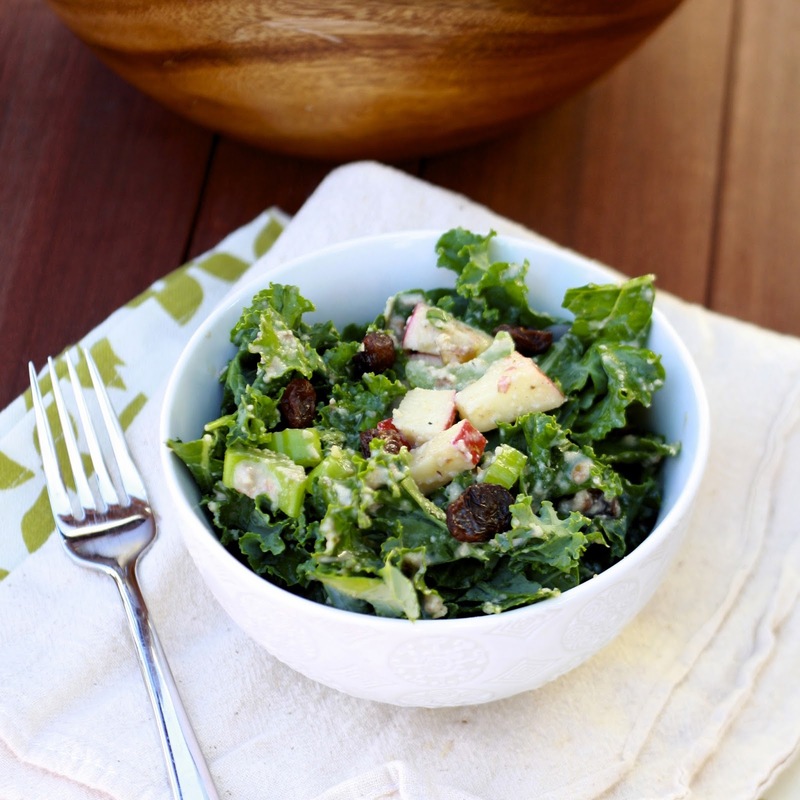 This kale waldorf salad, from Whole Foods, is unique in that it relies on pureed walnuts and apple in the dressing instead of oil. I was skeptical, but didn’t miss the oil one bit, especially since you’re still getting healthy fats from the nuts. 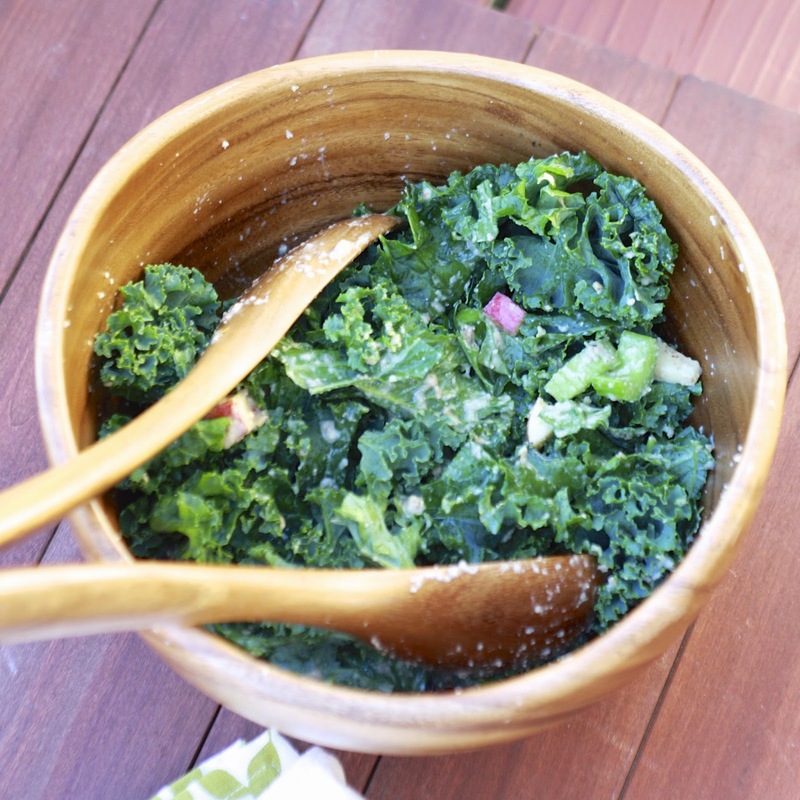 I did add a bit of water to thin the dressing to my liking, but I liked how the dressing clung to the kale leaves, softening the salad and helping to bulk up your usual kale salad. 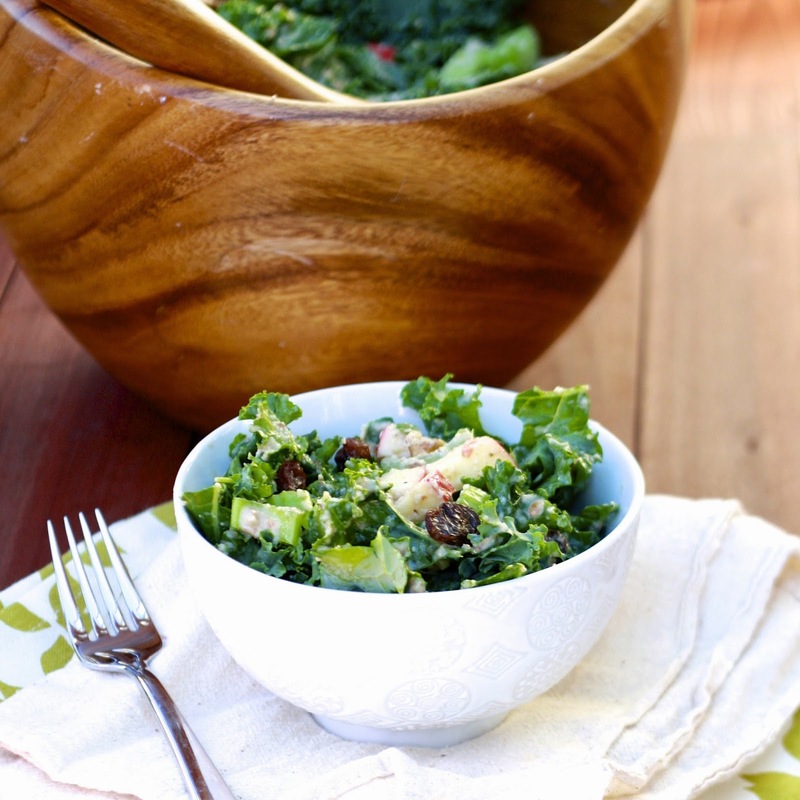 Because kale is so hardy, this is a great make-ahead salad…the leftovers I took for my lunch the next day weren’t soggy or unappetizing in the slightest! 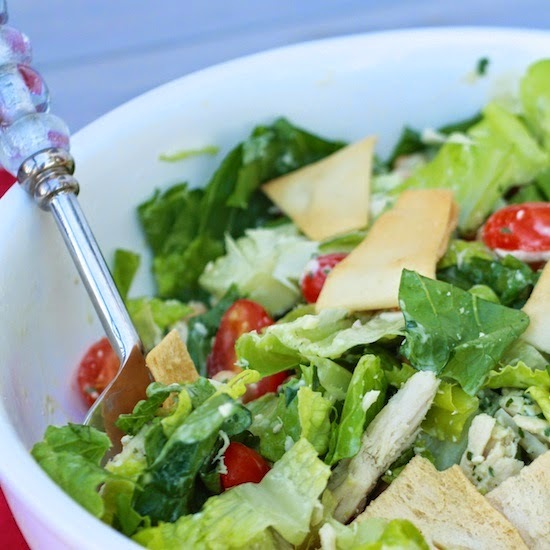 Next time you’re looking for a salad to round out your meal plan (just add some crusty bread to finish it off), give this one a try. I’m not disappointed in this brownie fixation, especially since I’m 3/3 now. 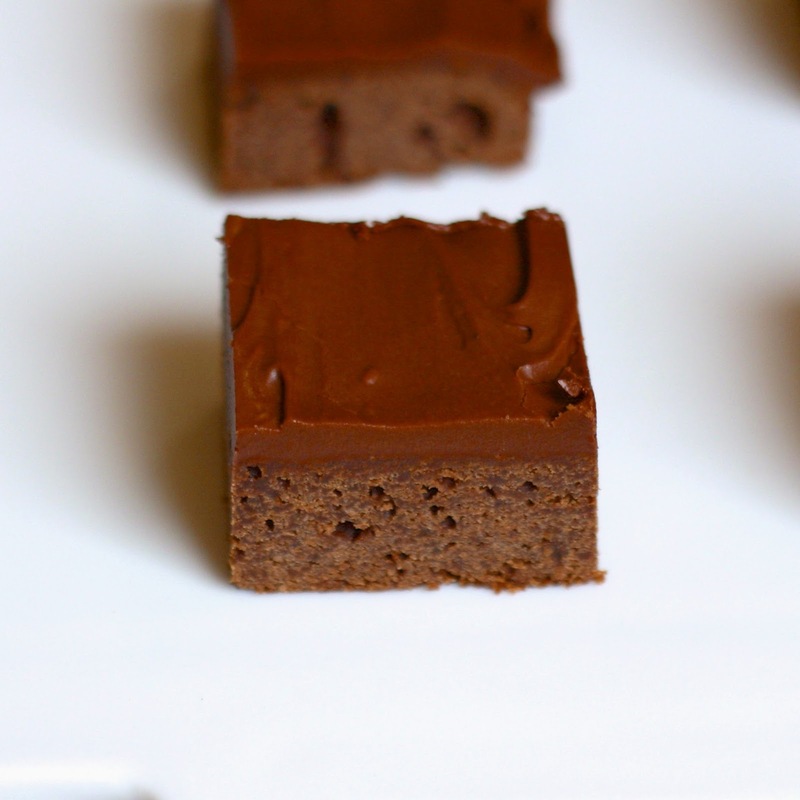 These amaretto brownies are great when you’re craving a rich brownie, but want something a little different. 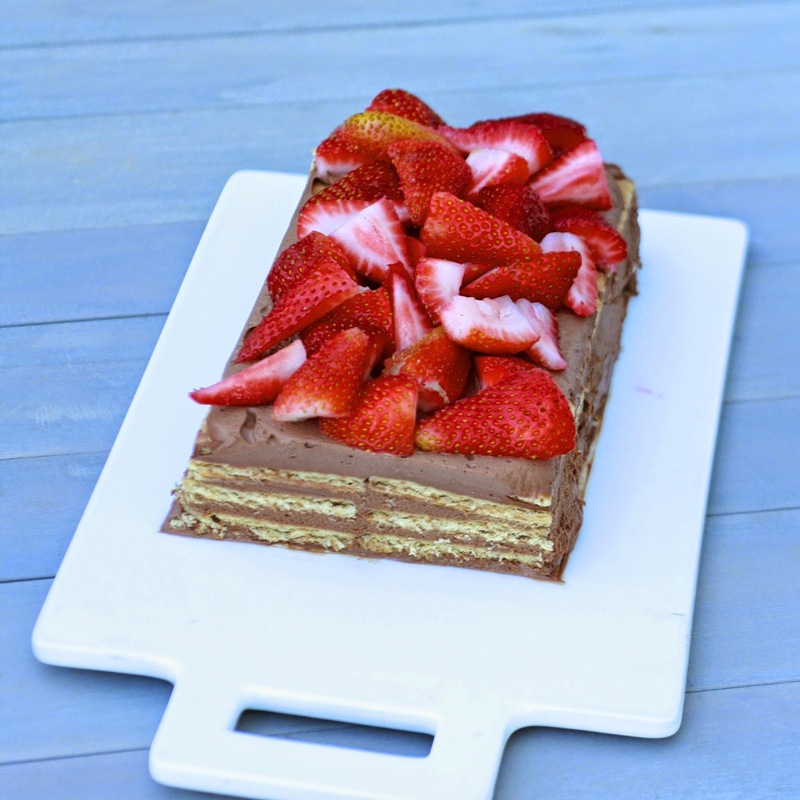 With amaretto in both the brownie and the frosting, you definitely taste something special. 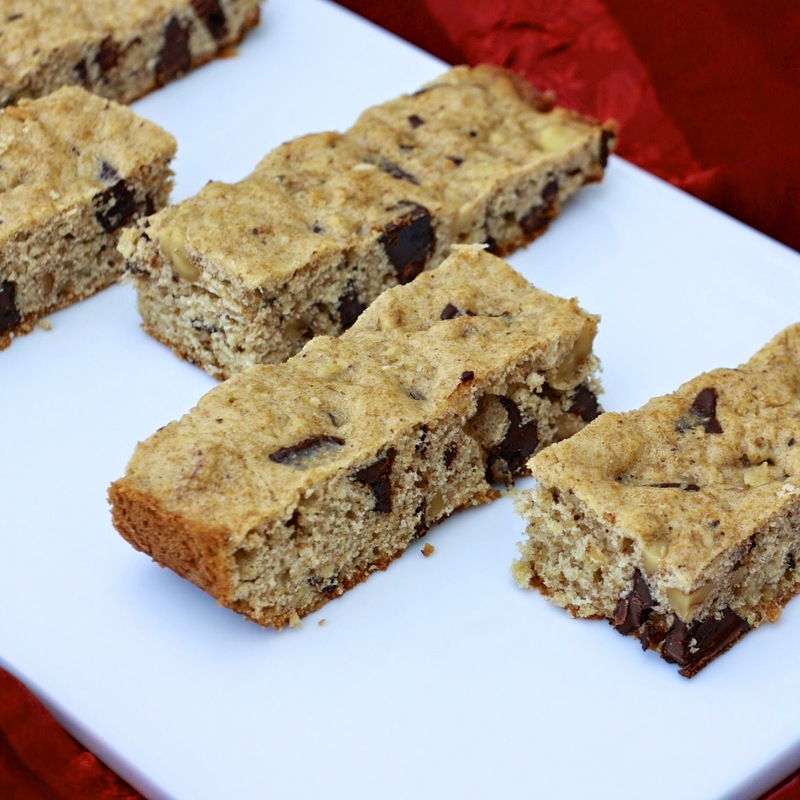 Almond lovers won’t be able to resist these! For even more of an almond flavor, top them with slivered or sliced almonds. 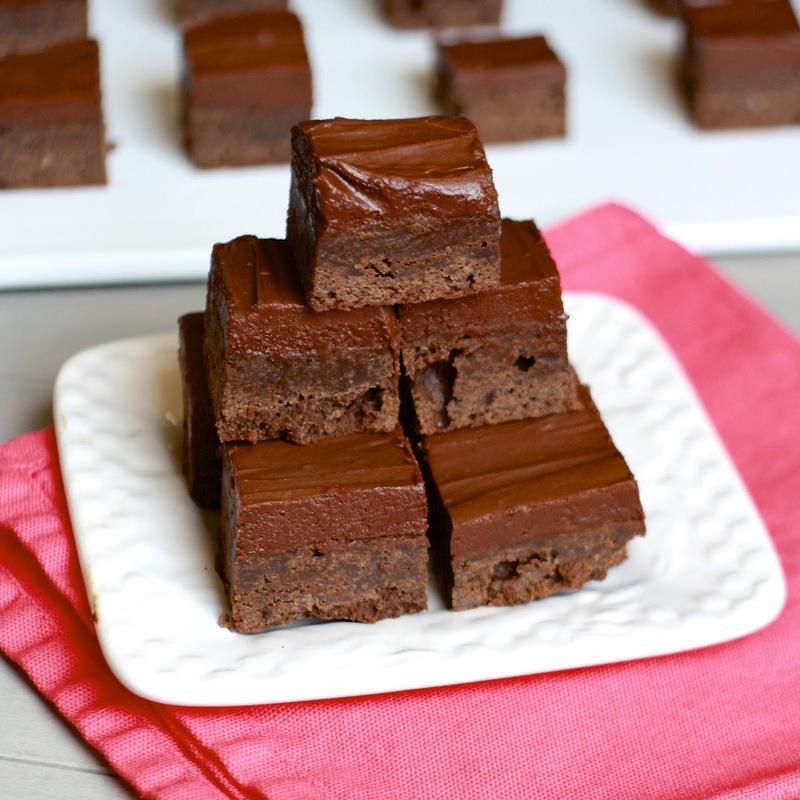 Like my other recent brownie recipes, these keep well for several days, but can also be frozen and saved for a brownie-craving day! With a freezer full of main dishes, thanks to the marathon freezer cooking day I had with friends, I’m taking the time to get a little creative with our side dishes rather than just roasting some vegetables or steaming some broccoli. 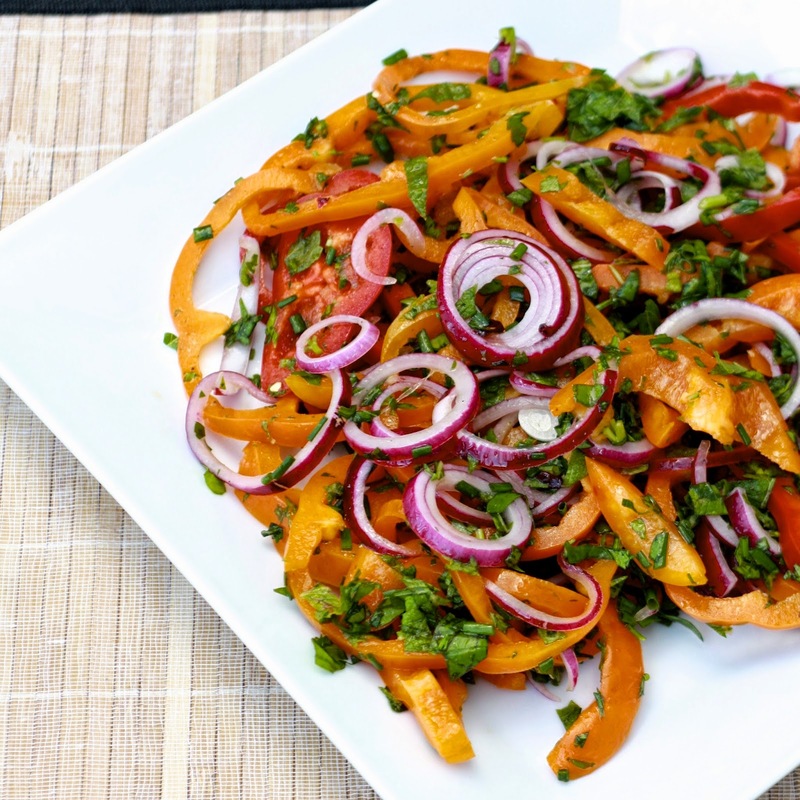 To be fair, Ryan made this bell pepper salad one evening to eat alongside some shredded Italian beef we pulled from the freezer. 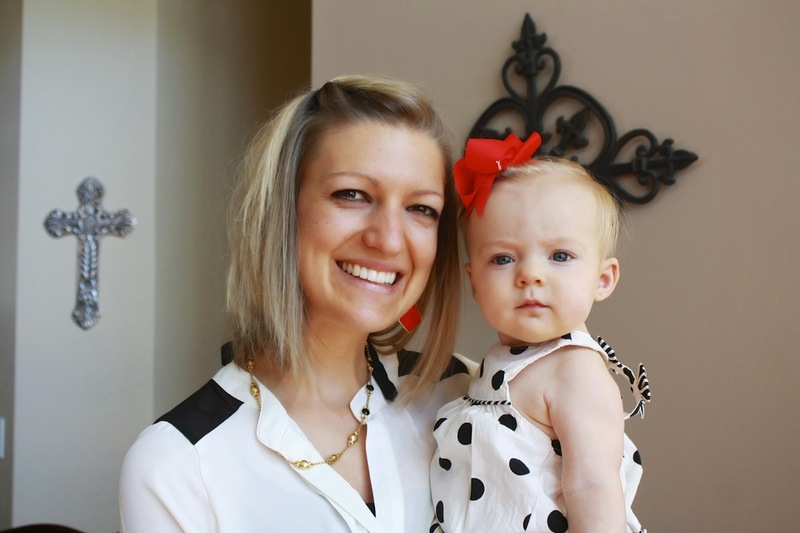 We returned home from work one evening to a happy baby who suddenly transformed into a lethargic, feverish baby with temperatures reaching 103F. We’d witnessed a few minor fevers with Brecken before, but nothing that high and I was too busy cuddling her and trying to keep her comfortable to even think about this salad I’d planned to make. Thankfully super dad/husband stepped in and started throwing this together. For as pretty as it looks arranged on the plate, you’d never guess how simple it is. 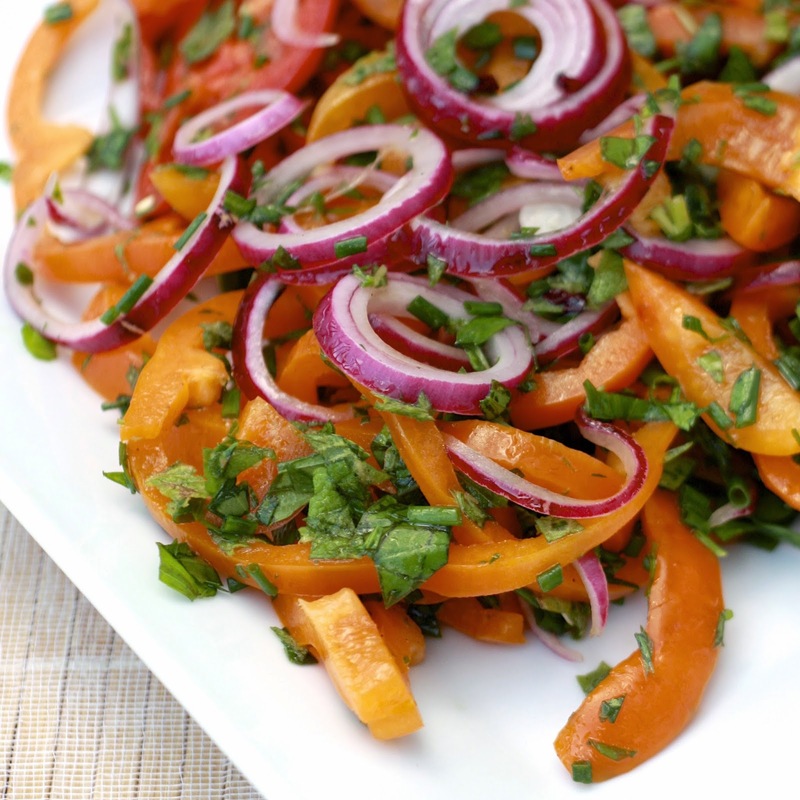 Slice some peppers, chop some herbs, toss in the dressing, and after a little rest it’s ready for the table. Leftovers kept well, so I’d guess you could make this up to a day ahead of time to make getting dinner ready even easier! 1. Friday Night Meatballs: How to Change Your Life with Pasta. I absolutely love this idea about creating community through regular, stress-free entertainment. We currently open up our home for a weekly community group through our church, but I love the idea of also doing something like this...maybe sometime in the near(ish) future?!? 2. If you follow me on Instagram then you've already seen this, but if not, let me introduce you to THE best baby giggle in the world! My SIL Kate captured Brecken's giggle on video last week and we have watched this probably 100 times already. B is generous with her smiles but makes us work for her laugh so it was all the more special to film this. We've fake sneezed over and over and over again since then and she apparently no longer finds it funny...little stinker! 3. If you're a working mom, or plan to someday be a working mom, do yourself a favor and read Maxed Out: American Moms on the Brink. I liked it so much better than Lean In or any other similar book I've read. Part memoir, part research-based, it's a quick read and will hopefully inspire you to change America's culture as it relates to working moms. 4. Are you diving straight into pumpkin season? Whether you started yesterday or are holding off for a few more weeks, put these Pumpkin Chocolate Chip Cookies on your must-bake list. They're one of our favorite--if not our all-time favorites--cookies and when September hits at least a few cans of pumpkin go toward making these. 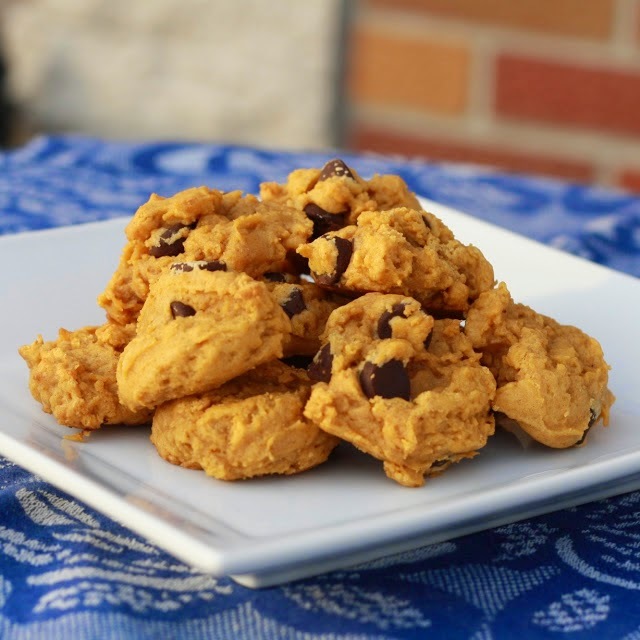 I dare you to find a pumpkin cookie with a better texture! I wasn’t kidding when I told you I had other versions of the lemon layered cheesecake up my sleeve! 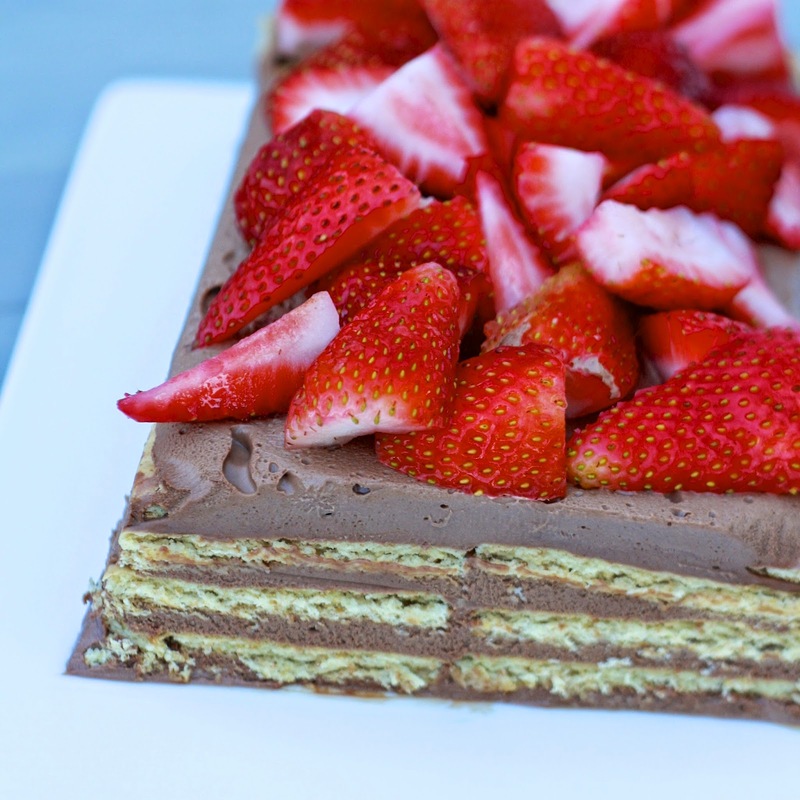 My mind immediately went to the chocolate strawberry combination…it’s essentially a perfect combination of the cheesecake-stuffed strawberries and the ever-famous chocolate-covered strawberries. Every night around 8:30 pm, a snack monster creeps into our house and invades my body! It's been a few hours since dinner and it's not quite bedtime and suddenly ALL.THE.SNACKS. sound good to me! It's often a battle between sweet vs. salty, and when savory wins out, the chips and crackers in our house disappear with alarming speed. 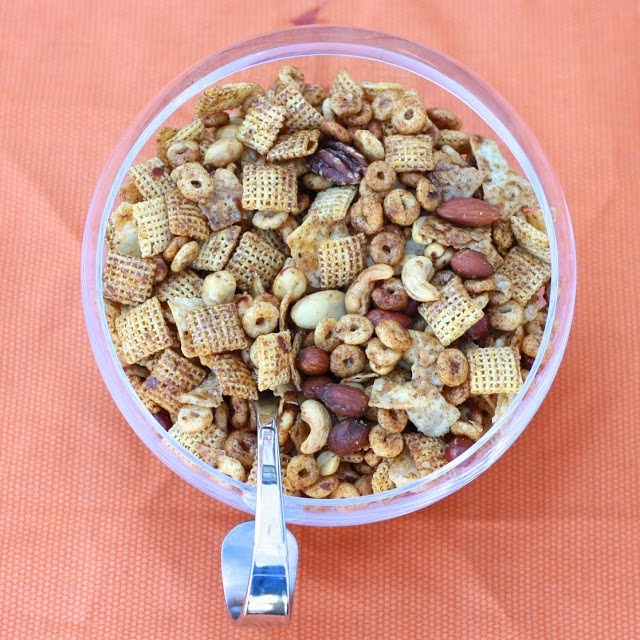 I'm not really looking to curb the snacking...as an exercising, nursing mom, I figure I probably need the calories, but I am trying to have healthy options on hand to balance the less healthy options from time to time! 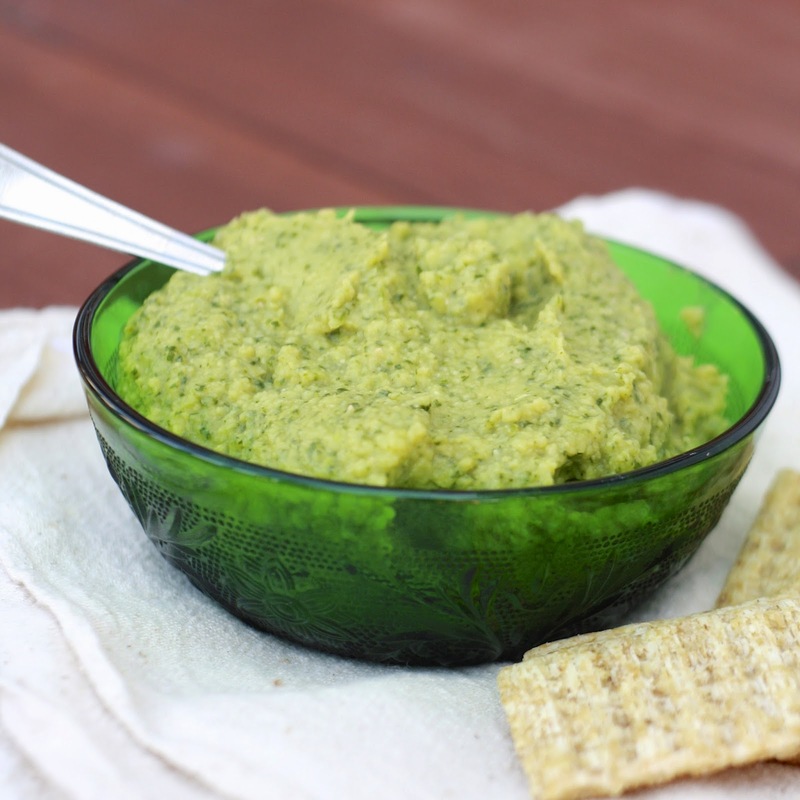 This cilantro chickpea dip is just what I need. I've packed it in my lunch to motivate me to eat my veggies (I find it's particularly good with bell peppers and broccoli!) and I've pulled it out in the evening to satiate the snack monster, usually eaten atop pita chips or Triscuits. 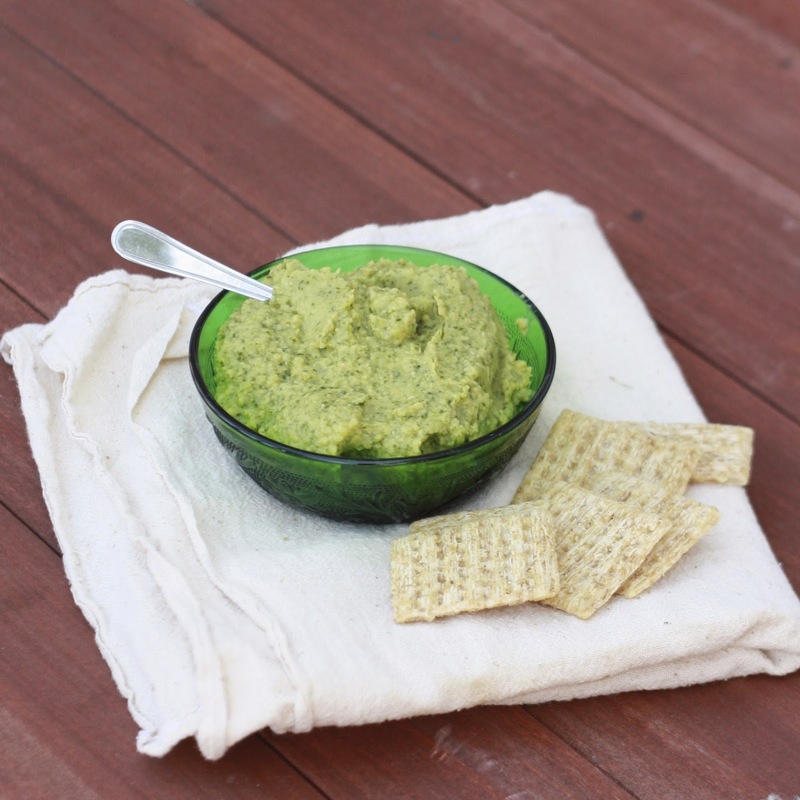 It takes five minutes to toss the ingredients in the food processor and make a batch. I find the combo bright and refreshing and I actually have plans to double my batch next time so that I can use the leftovers in some sort of a Southwestern-style wrap or sandwich. Stay tuned! I’m sure many of you, like me, have a handful of grocery staples. You buy whatever you need for your meal plan or maybe grab a few impulse purchases each week, but more often than not you have your basics that are always in your cart. For us this includes Greek yogurt, kale, bananas, and zucchini. Okay, and chocolate chips. 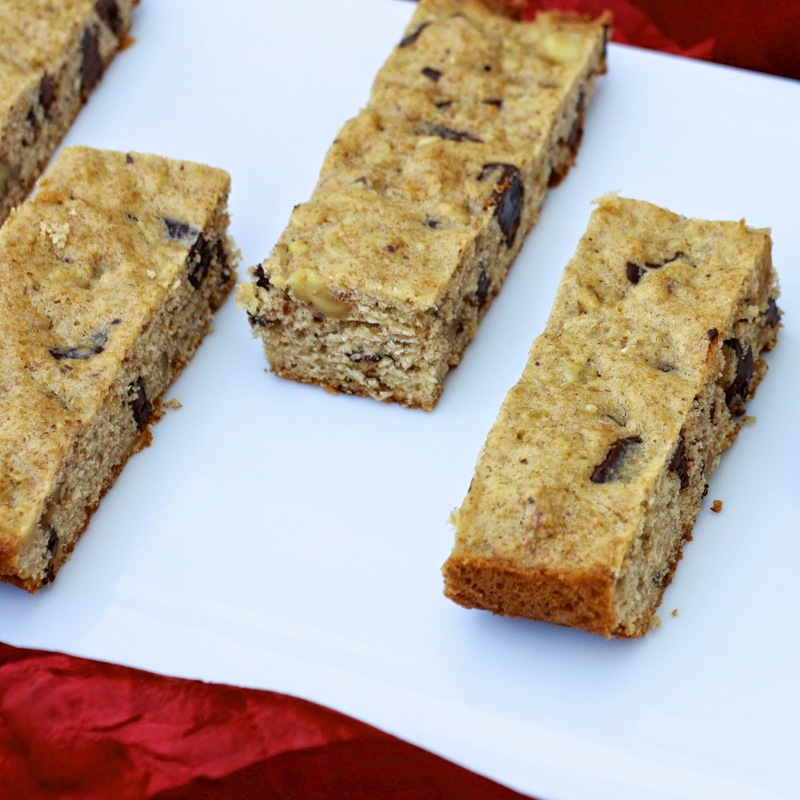 I like always having zucchini on hand because it’s easy to slice and eat with hummus, we absolutely love zucchini bread (with chocolate chips of course), and it’s a versatile vegetable that can be added to just about any meal. Take this pasta, for instance. 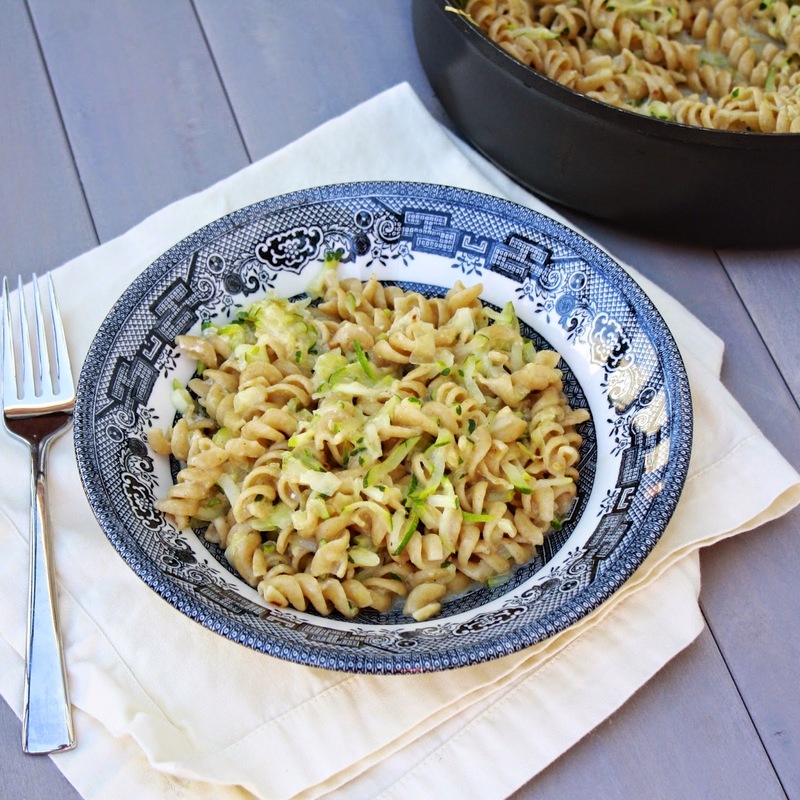 Pasta often gets a bad reputation, especially in today’s age of “fear the carb” and “avoid gluten like the plague”, but this dish is fairly healthy and not oozing with cream or cheese. 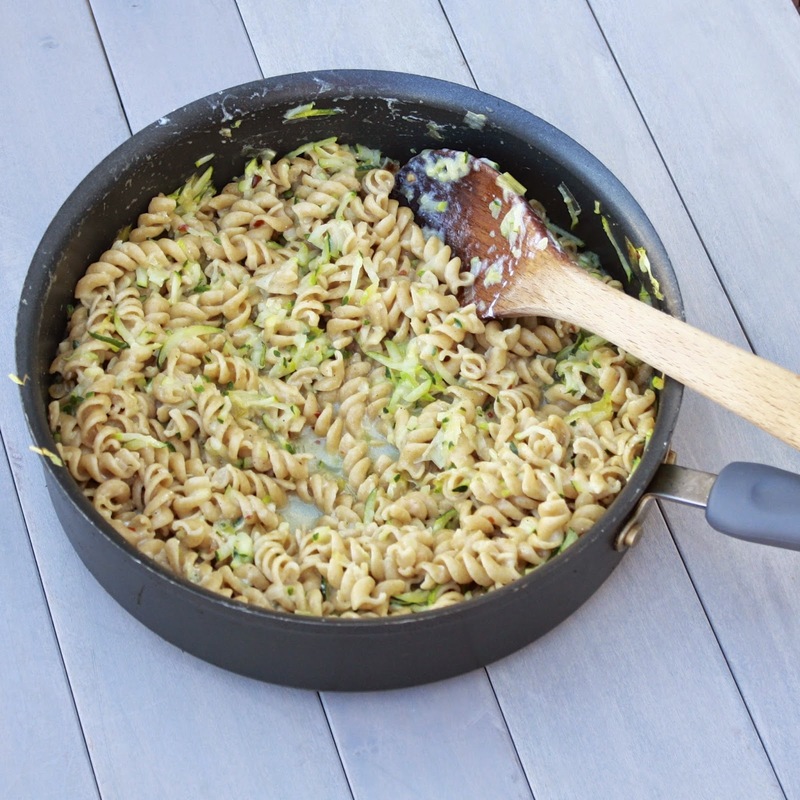 It only takes a few basic ingredients that you likely have on hand (especially if zucchini is one of your staples!) and you aren’t going to have to slave away in the kitchen for hours to get dinner on the table!